On March 10th, we’re dancing to raise $55,000. Can’t Make it to Dance Marathon? That’s Okay! Donate Now and you can still be a part of the Movement! Want to join Hogs for Hope? 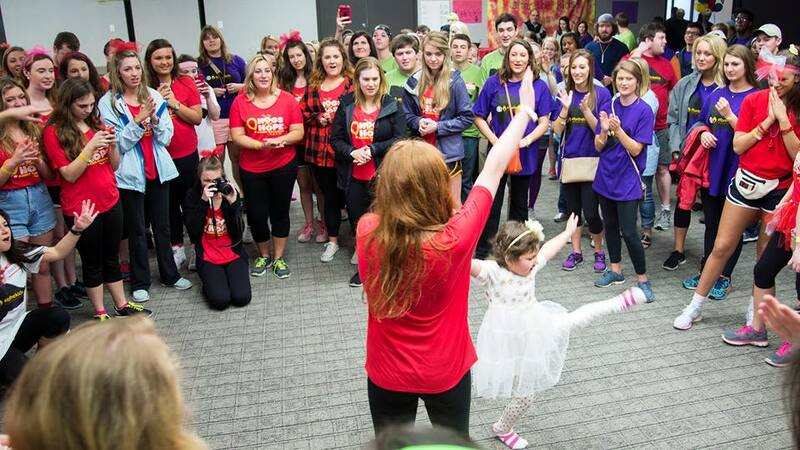 We are an RSO at the University of Arkansas and a national affiliate of Children’s Miracle Network. Our goal is to support Arkansas Children’s Northwest through a series of fundraisers and special events with the kids. Our biggest fundraising event is Dance Marathon, a 10 hour dance party in the spring semester that highlights the change people can make in just one day! Register TODAY by clicking on “Join the Movement”! !